PASADENA — Naomi Hirahara, award-winning author of the Mas Arai mystery series, will be the next honoree to immortalize her handprints and signature in the Vroman’s Author Walk of Fame on Saturday, Nov. 10, at 12 noon at Vroman’s Bookstore, 695 E. Colorado Blvd. in Pasadena. “We are so thrilled to honor Naomi Hirahara with this dedication and to celebrate all of her important contributions to literature and the community,” said a Vroman’s spokesperson. Everyone is invited. Following the dedication, stay for a reception and a special conversation between Hirahara and journalist Nancie Clare. Hirahara is an acclaimed mystery novelist and nonfiction writer of the Japanese American experience. She is most well known for her Edgar Award-winning Mas Arai mystery series, which features an Altadena-based gardener and Hiroshima survivor. The final mystery in the series, “Hiroshima Boy,” was published this spring by Prospect Park Books. Her first Mas Arai novel, “Summer of the Big Bachi,” is currently being developed into an independent film. She is also the creator of the Officer Ellie Rush series (“Murder on Bamboo Lane,” “Grave on Grand Avenue”) and a new mystery set in Hawaii, which will be published in September 2019. The City of Pasadena awarded her a cultural affairs grant to help develop a historical thriller. 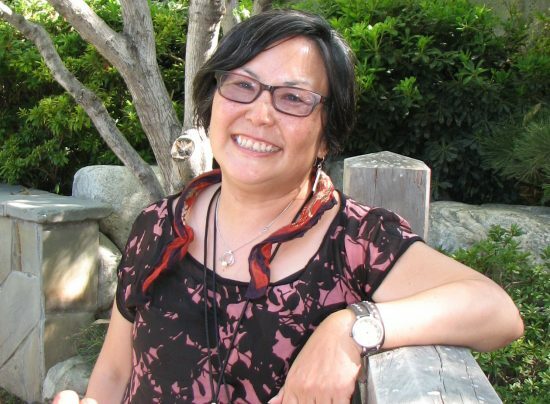 A former editor of The Rafu Shimpo, curator of historical exhibitions, and consultant for media productions, she has also published noir short stories, middle-grade fiction and nonfiction books, including “Terminal Island: Lost Communities of Los Angeles” (Angel City Press) and “Life After Manzanar” (Heyday). A graduate of South Pasadena High School, she received her bachelor’s degree in international relations from Stanford University. A native of Altadena, she currently resides in Pasadena with her husband, Wes, and Jack Russell terrier, Tulo. Visit her online at www.naomihirahara.com. Clare is the author of the critically acclaimed “The Battle for Beverly Hills: A City’s Independence and the Birth of Celebrity Politics” (St. Martin’s Press, March 2018). She has been a Southern California-based journalist and writer her entire career, which includes 11 years as an editor at Los Angeles Magazine as well as editor-in-chief of LA, The Los Angeles Times Magazine, where she edited such best-selling and award-winning authors as Megan Abbott, Michael Connelly, Robert Crais, Annie Jacobsen, T. Jefferson Parker and Don Winslow. If Clare’s career were to have a sub-hed, it would be “What I really want to do is write a mystery.” To that end, she is currently working on the second draft of her first crime fiction novel. She continues to write freelance articles; she’s been published in The Los Angeles Times, The Hollywood Reporter, Los Angeles Review of Books, Los Angeles Magazine, NYU Alumni Magazine and Coast Magazine. She is also the co-creator and chief interviewer for the podcast “Speaking of Mysteries,” where she has had the good fortune to interview such genre luminaries as Hirahara. For more information on the event, call (626) 449-5320 or visit www.vromansbookstore.com.